This recently published 321-page book, a true story written by my daughter, Barbara Jagoda, provides a wide-ranging insight into the world of Arabian horse racing in Arizona, California, Colorado, Delaware, Kentucky, Montana, and Wyoming. Barbara owned, trained, raced, and loved several other horses but this story is mainly an amazing tale of deep love, respect, and understanding between a horse and a human. It recounts enough human and horse emotions, setbacks, injuries, and amazing successes to hold the reader’s interest. It is a story of Barbara accepting the challenge of trying to tame for its owner an Arabian colt so high spirited that no one could ride it so it was destined for the meat market. Barbara turned it into North America’s top Arabian horse, winning 50 races. During the process she bought Smoky. It reveals that horseracing remains “the sport of kings” Few can afford the time and costs of breeding, selecting, raising, training and maintaining promising horses. Then there are all the fees and costs of needed racetrack accommodation and personnel. Thoroughbred racing remains dominant whereas Arabian is a newcomer. Thoroughbreds are always faster but Arabs have far more endurance so can run longer distances, but there is little financial incentive for long races. Barbara relates that almost all people associated with horse racing are honest, likable humans. She encountered only one incident of a jockey, so vital to the strategies involved in a race, accepting a bribe to affect the outcome. There was the constant lure of handsome offers from the Arab world to buy successful Arabian horses and many owners succumbed. Barbara instantly rejected two offers to buy Smoky, one from the monarch of Abu Dhabi, the richest emirate in the U.A.E. When horses were shipped to the Arab world, names were changed so it was impossible to learn what happened to them when their winning days were over. While Joan and I helped Barbara in her pursuit of horses we flinched at the way she so naturally devoted long hours, 7 days a week, into caring for them. Trying to get her home for vacations was impossible. Barbara’s love of horses started early. In the book she frequently invokes the aid of her heavenly guardian, Grandpa Will Saunders. Barbara was born 4 months after I was shot down in March 1943 to reside for 800 days as a guest of the Luftwaffe. Joan, who would continue as my wife for 72 years, had returned home with Barbara to Leamington Spa, Warwickshire. Will loved horses. He was a sergeant in the Royal Horse Artillery in India pre-WW1 with the job of stopping Kyber Pass hill tribes from raiding India. He won awards for bringing back safely his horses and horsemen from skirmishes. He also had high respect for India and Indians. When WW1 came, he was sent to Egypt from where he was torpedoed going into Gallipoli, had to swim ashore, then engaged for months in the battle against the Ottoman Turks. He was then sent to France where he lost a lung from a gas attack. Medically discharged with no pension, he built up a dairy herd to produce and deliver the city’s best milk. He also got an allotment to garden on a hill just a block away that was frequented by horses. As soon as Barbara was old enough to sit on a horse’s back Will started to teach her to be comfortable on a horse. They developed a great bond. Wearing rubber boots and standing in a section of a large, divided, sink she passed milk bottles to him to wash. It was a painful day for both when I had to move the family to Canada as soon as shipping for war brides became available at government expense in January 1946. With the numerous moves of an RCAF career we had little chance to enhance Barbara’s association with horses until we were transferred in 1956 to Centralia, near Exeter north of London, Ontario. There was a nearby riding facility frequented by Barbara so I asked her to take on weekend trail rides groups of NATO cadets from several countries undergoing pilot training. How surprised I was when so many cadets on a Monday morning could not sit down in class, being too sore, They were too proud to admit that a mere girl could so outlast them on horseback so had endured all of Barbara’s lengthy ride. Part of my RCAF responsibilities was to ensure good relations with the local community. I discovered an auto dealer whose horse, “Charlie” had grown too fat because he lacked the time to ride and exercise it. He was quite skeptical, due to Barbara’s young age of 13, when I suggested he let her exercise it. He was satisfied when Barbara was so quick in finding a farmhouse just a short distance away where she could board Charlie. When we were transferred to St. Hubert, Quebec, in 1958 we handed back to a highly surprised and delighted owner a horse, slimmed down and in perfect condition. In St Hubert it was a very worried and time-consuming task of driving 1,100 miles around the Montreal area trying to find a house to rent, Finally I did in St. Bruno where Barbara was quick to find Jette’s Stables where I could assist her in getting daughter #4, Patricia (Trish), used to horses by copying Will Saunders’ techniques and leading her safely on horseback round and round the riding ring while avoiding the numerous chickens. All of our 5 daughters, Barbara, Diane, Valerie, Trish, and Linda, graduated from university in some form of biology. Only Barbara and Trish owned horses. Trish and Linda made careers in wildlife. During her school years Barbara was far more interested in horses than boys. There were many suitors, some of whom would beg me to plead with her to pay more attention to them. Diane was considerably more social, giving me problem in keeping track of all of her suitors. After two years each at McGill in Montreal and the University of Colorado in Boulder we persuaded Barbara to accept a job teaching science at a local Junior High School. This, we argued, would give her summer time with horses and the income to buy one. Her impatience saw her buy a horse with her first pay cheque. Smokey had competed in 120 races, winning 50 of them. He had more awards; had more articles written about him; and had earned more money (over $307,000) than any other Arabian. He also had more fans. On 24 October 1998 the Los Alamitos Race Course organized its first-ever retirement ceremony. Smoky knew the party was for him. As the announcer, and the large TV screen, broadcast his accomplishments and the crowd roared its cheers, Smoky lifted his head, leaped into the air, kicking his hind legs to applaud his audience. Barbara, Smoky, her other horses, and Bryan Braithwaite with his horses returned to the ranch they shared in Kingman, Arizona. Bryan, with amazing talent in understanding horses and the one who had chosen the mating that produced Smoky was her best friend, always helpful, especially when she was recovering from two broken arms from a horse falling on her while Smoky was mending from the removal of an infected eye to continue racing as the one-eyed marvel. Yet Bryan persisted as her chief rival with his excellent race horses. He gave up his smoking and drinking problems quite willingly after Barbara’s urging. With a lot of horses to buy, condition, and sell these two strong-willed individuals argued a lot, so, in 2004, Barbara decided it best to return home, finding, after much searching, an ideal 44-acre ranch with lots of grama grass that Smoky liked. 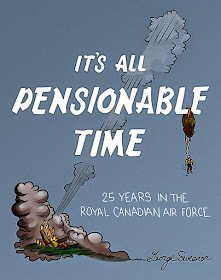 It is 27 miles (43 km) southeast of what has been the family home since I was transferred here by the RCAF in 1963, retired in 1966, devoted 4 years to university, then 13 years to writing and teaching senior high school courses on the modular system, retiring again in 1982. We had hoped that Barbara would retire herself from her racing years of long, hard-working 7-days-a-week dedication. Now, close to home, she has been a tremendous help to me while making great improvements on her ranch, planting numerous trees, establishing gardens, helping wildlife, and providing great care to two or three horses. By careful weeding and mowing large areas, she, her home, barn, garage and her animals were able to survive unscathed when two large grass fires suddenly raced over concealing ridges to result in police cars racing up her long road to order her to evacuate immediately. The fires, however, split on reaching her manicured area to circle it and race on to burn other homes. She provided a retirement home that Smoky loved along with two companions. Smoky died in 2016 one day shy of his 30th birthday, leaving the ranch to his two friends and Barbara. Not content to rest on her laurels, Barbara organized her numerous press clippings; wrote this book, contacting career associates for their permissions to include them; worked with Trafford Publishing; then scheduled several book-signing events with more planned. Barbara considers herself very lucky, but I believe that I am the lucky one to have her and her 4 outstanding sisters who really deserve blogs devoted to their own accomplishments.